Atrocities committed by the Azerbaijani side against residents of Armenian villages, are a repetition of notorious acts carried out a quarter century ago within the so-called ‘Operation Ring’,” Larisa Alaverdyan, the executive director of the Foundation Against the Violation of Law (FAVL), told media Friday. The aim of Operation Ring, carried out on April 29, 1991, was to displace Armenians from as many settlements as possible, at the same time to spread fear and suppress the struggle for national liberation. The adversary first targeted settlements of northern Karabakh villages of the Shahumyan region and the Getashen sub-region. As a result, more than 10,000 Armenians were displaced from 24 villages and neighboring districts over a two-month period. During this month’s four-day war, such atrocities were again apparent as the bodies of an elderly couple with their ears cut off were found in the Talish village, and the beheading of the corpse of a Yezidi serviceman (of the Armenian forces) shown on video, along with images of mutilated bodies of Armenian soldiers. Documents were prepared to initiate legal proceedings in international organizations against the Azerbaijani side. By drawing parallels, Alaverdyan said that atrocities of the adversary during the Karabakh war were recorded by various international organizations. “After Operation Ring a group of human rights activists led by Baroness Caroline Cox traveled to the region, visited the bordering villages and published reports, calling for the UN to concentrate forces in the region and put pressure on Mikhail Gorbachev, the head of the USSR,” she said, adding that the same thing is happening now, and there are all the proofs necessary to draw the attention of various international organizations to the conflict zone. Alaverdyan, however, said that there is a situation that does not allow fully releasing the proof of Azeries’ atrocities. “Numerous legal proceedings have been launched against Azerbaijani lawlessness, and in many cases, dissemination of information is limited. 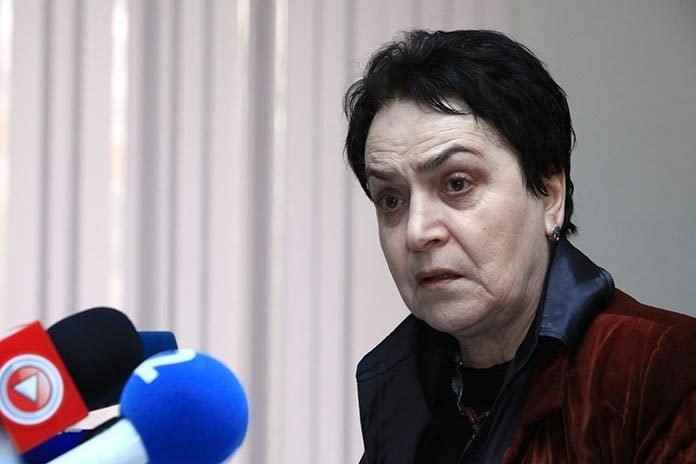 For example, the court has rules under which, if the application or other related information includes any abusive, improper remarks addressed to the accused country, the process will be stopped,” she said, adding that the photos of the mutilated bodies of the NKR Defense Army servicemen are not published for this very reason.